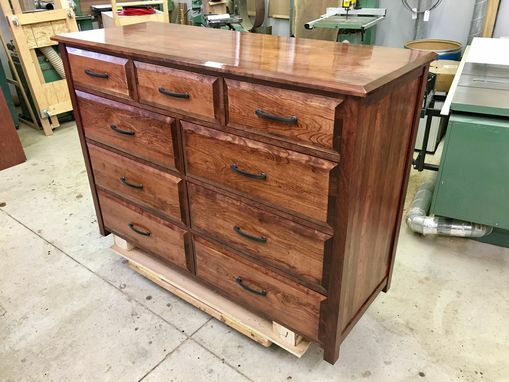 24"D x 36" W x 66"T. Drawer pulls were customer's choice. 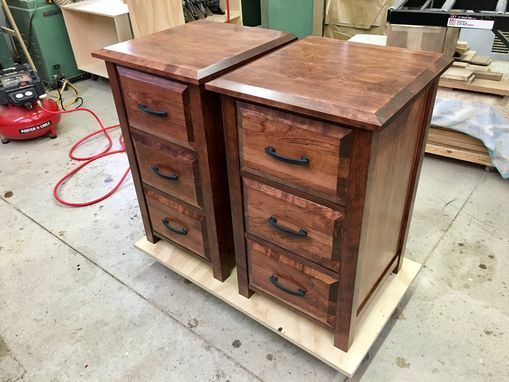 All five pieces received a thorough sanding, followed by a coating of cherry stain. Several coats of a semi-gloss polyurethane completed the cherry bedroom set. Because there are five pieces to this bedroom set, it will require more than 12 weeks to design, construct, and deliver. 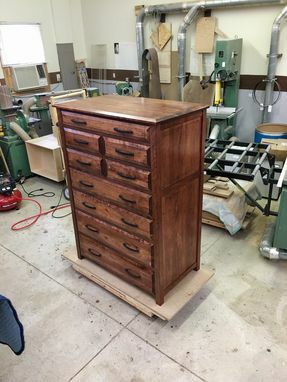 Please contact the craftsman through Custommade.com for further information.